I’m passionate about the opportunites to share my life experience with younger kids, giving them a leg up on life as they grow and age. If we can teach them to respect the earth and the oceans, we will grow a generation of new strength in our pursuit. In 1978, some friends and I held a recycling event once a month on Saturday mornings in the parking lot of the grocery store. People would come by and drop off their recycling – metal, glass, plastic and aluminum – we’d gather it up and take it to the large recycling center, all at our own cost. Other people would question me as to why I was wasting my time with this. Here we are, 35 years later, and I am honored to see kids carrying a plastic bottle until they can find a recycling can, not just discarding it from their sight at first chance. Change comes through generations, 11th Hour Racing gives us the opportunity to educate people and spread this energy. 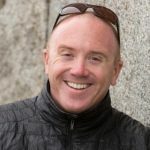 Dave has been sailing since his first ride on a Sunfish off the beach on the southern shores of Lake Michigan in the middle of the country at age 12. From there he progressed through small boats – Lasers and Hobie Cats – to half ton keel boats, 3/4 ton and 1 ton racing machines and on up in size. 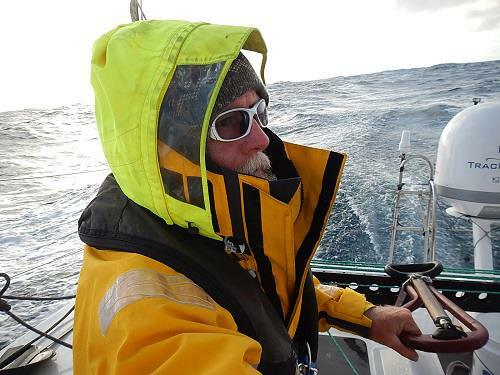 He’s competed in many events, both crewed and solo and is passionate about offshore sailing. In 2011, he commissioned the construction of hull no. 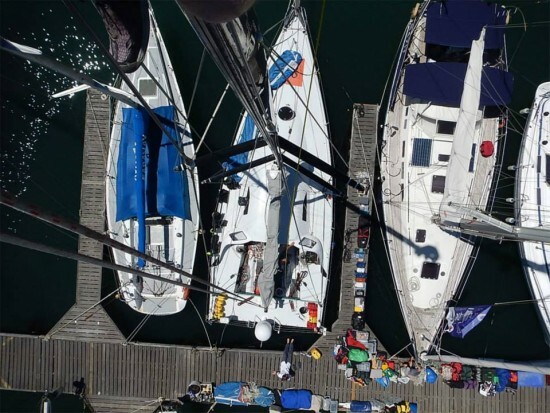 3 of the Kiwi 40 FC Class 40 to compete in world events and to prepare for the single-handed Global Ocean Race. After campaigning Bodacious Dream for two years in Europe and America, he learned the GOR was cancelled. 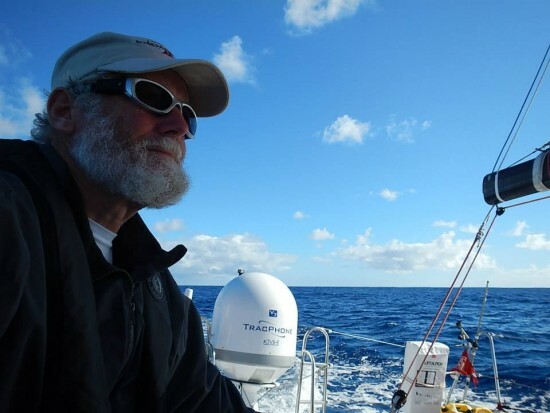 Adjusting to the situation, in October of 2013 he started an amazing journey on the Farr designed Kiwi 40 FC, Bodacious Dream, eventually covering 25,000 miles solo around the globe. After leaving Jamestown, RI, and stopping in Cape Town, Wellington (NZ), the Galapagos Islands and the Panama Canal, he returned home in June of 2014 having left in his wake an amazing story and blog with educational materials for kids of all ages at www.bodaciousdreamexpeditions.com Dave still races on Lake Michigan when he is back home… enjoying the amazing ocean of fresh water and it’s beautiful but ever more fragile ecosystems. The Great Lakes have been my home since 9 years old. I’ve grown up in the middle of the Indiana Dunes National Lakeshore Park and have a keen relationship with wild areas… regardless of where they are. I love the open desert as much as the wide ocean. I’ve experienced first-hand the health of the ocean and have shed tears with dolphins as they swim through polluted waters. It’s time friends, it’s time to work on this problem. The ocean can heal if we stop beating it up. I am actively engaging my local sailing community and I am committed to youth education and ocean stewardship. I’m approaching the larger boat yards on Lake Michigan to support them in making environmentally positive changes and find viable solutions. Simple changes in recycling, use of plastics, water bottles and such. I’m approaching yacht clubs, event organizers and fleets on the Great Lakes to raise awareness on sustainability during their big regattas and to implement some simple changes that can have a big impact on this fragile ecosystem, such as eliminating single-use water bottles. I continue to build the Education Outreach program for the Atlantic Cup. Racing throughout the Great Lakes with over 28 Mackinac Races, 7 Solo Mac Races, 2 Solo Super Mac Races. Many ocean races including Newport to Bermuda, Trans-Pac, Montego Bay Race. In 2011 began the Bodacious Dream campaign on the Farr designed, Kiwi 40 FC – a Class 40 racing boat. Competing in the Atlantic Cup, Quebec-St. Malo, Normandy Channel and Mondial Championships. 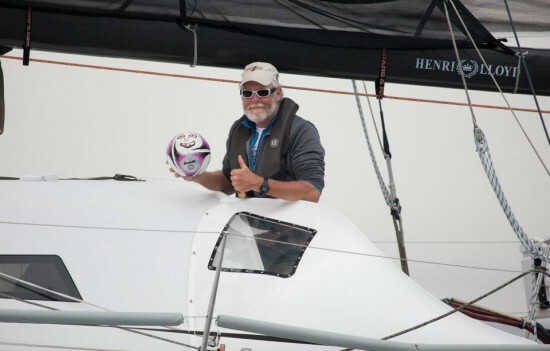 2013 began a solo circumnavigation on Bodacious Dream to support youth education and environmental awareness. Guilty Pleasure: Hershey’s Dark Chocolate Kisses… I couldn’t have made it around the world with out these! Thank you Hershey’s! Best Advice: If you make a mistake, tell the person what you did wrong, how you are going to fix it and what it will be like when you are done fixing it. If they are still mad at you, it’s ok…you’ve done the best you can. No one can ever be mad at you for doing the best you can. Patagonia – I don’t know of another more proactive corporate model out there. Levis 501 shrink to fit jeans – if cotton kills, I must be pretty tough!